A desperate shortage of crisis accommodation means that half of all domestic violence victims fleeing their abusers have nowhere to go but motel rooms, according to the Domestic and Family Violence Crisis Line Australian Network. 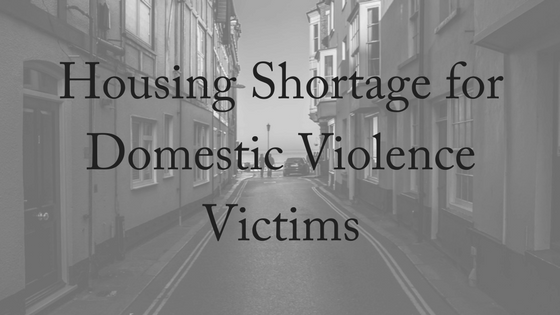 Most of these victims are women with children, who are at significant risk of returning to their abusers because they have been turned away from crisis accommodation. In 2015, the Network made a submission to the Senate inquiry into domestic violence urging the Federal government to increase funding of women’s shelters under the National Partnership Agreement on Homelessness. At the time, Assistant Minister for Women, Michaelia Cash, said that homelessness was a serious social issue and that the government was looking at long-term reforms to the funding of homelessness services. Then-Greens Senator Larissa Waters warned that the Federal government cuts to affordable housing and homelessness services are hurting vulnerable women, placing them into isolation without the support networks they need to recover from family violence. Often victims of domestic violence will suffer from poverty, homelessness, and unemployment, making the prospect of returning to their abuser more attractive. Unfortunately, due to the lack of support, victims never leave their homes. Some are afraid for the public to know of their circumstances and continue to remain in an unsafe environment, further experiencing violence. However, while housing may not be available, there are some options which may increase the opportunity to leave the negative environment. 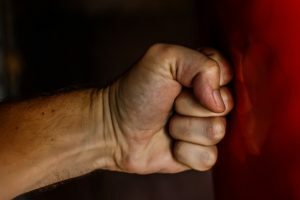 How can you escape domestic violence? If you are injured, go to a hospital. It is completely up to you whether you give the hospital information on your injuries. It is their job to enquire and ask questions regarding the injury, and if you wish to share details, then the professionals at the hospital can connect you with the relevant services you’ll need to escape your situation. Secondly, if you feel safe to do so, you can report your circumstances to the police. Domestic violence is a crime and may be charged with an offense. However, if you feel that this will only further aggravate your abuser and you do not feel safe in going to the police, there are other options available. There are helplines such as DV Connect (1800 811 811), White Ribbon (1800 737 732) and Lifeline (13 11 14). These hotlines will provide advice and assist you in whatever your situation may be. Another idea domestic violence victims could consider is the idea of a ‘safety plan’. A safety plan can begin by calling someone when you’re in danger, often a trusted family member. The safety plan can detail plans for a safe place for children and victims if domestic violence is being threatened. It is recommended that you get to know your surroundings so that if needed, the safe place is easily accessible. It is recommended you practice travelling to your safe place using multiple methods so you know the best way to reach safety. If you are worried about your pets and wish for them to be in a safe place, you can contact the RSPCA. They provide a foster care for animals for a period of time if you deem it necessary. Another tip is to start slowly setting aside money in a hidden place so if you need to quickly escape and pay for accommodation or food for a period of time, that money is available. You can also begin hiding clothes and toiletries in safe places or at other people’s houses so you do not have to quickly grab items when making the escape. The Government provides financial assistance for victims of domestic violence. This can help pay for counselling sessions, travel expenses and legal costs. Centrelink and Medicare also provide options for financial assistance. Counselling is also easily accessible through multiple methods and multiple organisation. Over the phone counselling can be provided through organisations such as beyondblue, Kids Helpine, DVConnect Womensline, DVConnect Mensline and Lifeline. 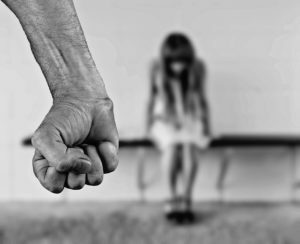 This year, the Victorian government announced funding for more than 100 extra homes for women and children escaping family violence that will be built across the state as part of a $133.2 million State Government package. The plan also includes money to redevelop existing refuges, and the construction of two new Aboriginal crisis accommodation centres. Housing and Mental Health Minister Martin Foley said women in danger would also be able to immediately access housing in the private rental market, if refuge places were not available. He said the funding was in response to recommendations made by the Royal Commission into Family Violence. If you are a victim of domestic violence or are concerned about a loved one, call Brisbane Divorce Lawyers today for a free, ten-minute phone consultation to find out how we can help you.